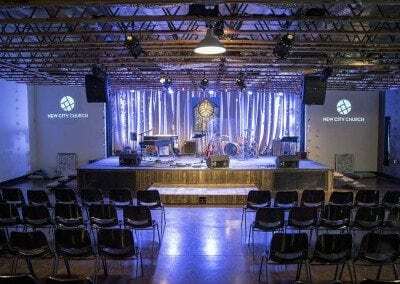 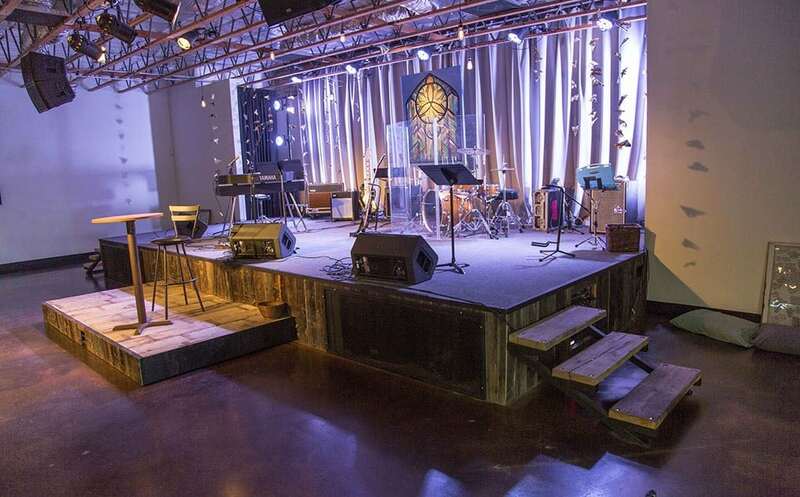 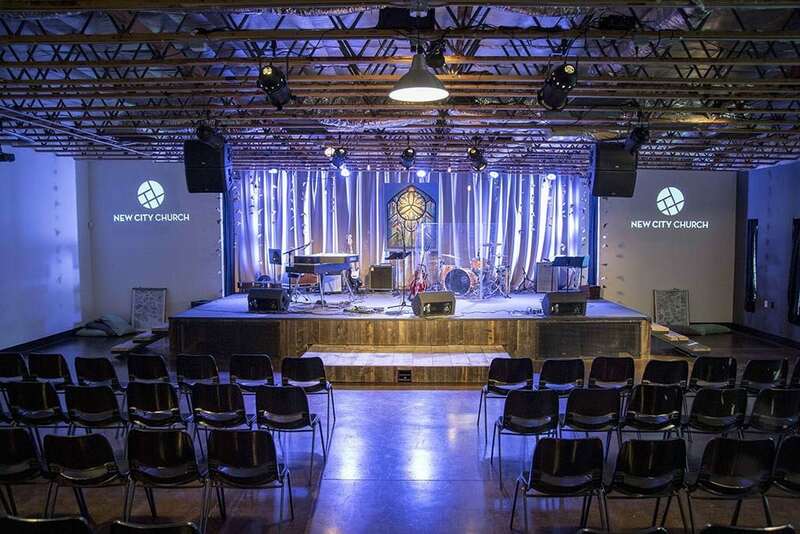 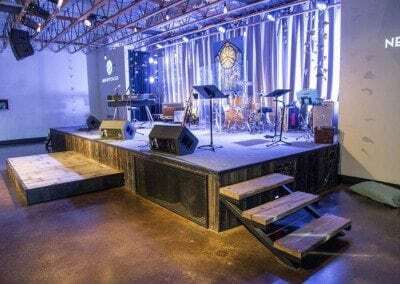 This stage was built for New City Church. 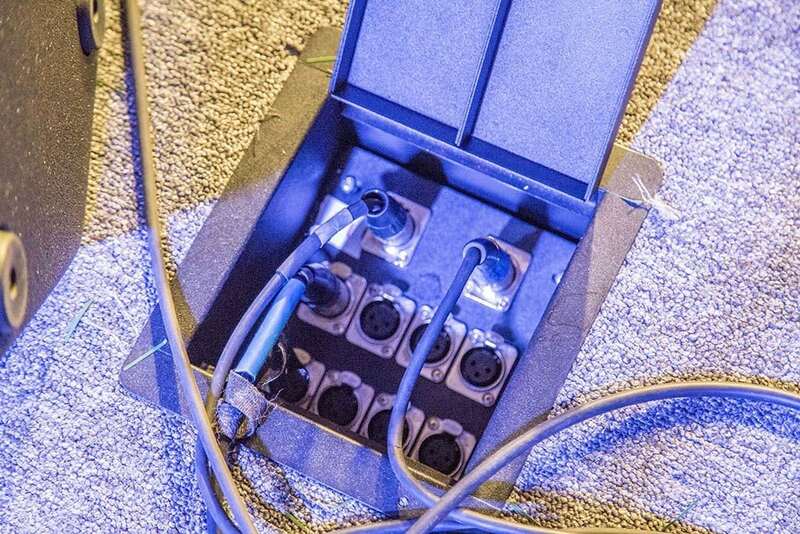 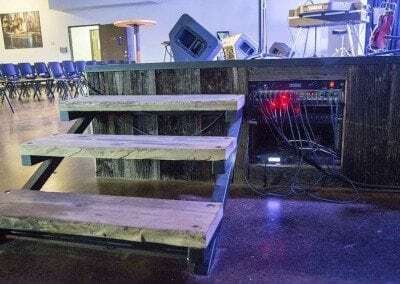 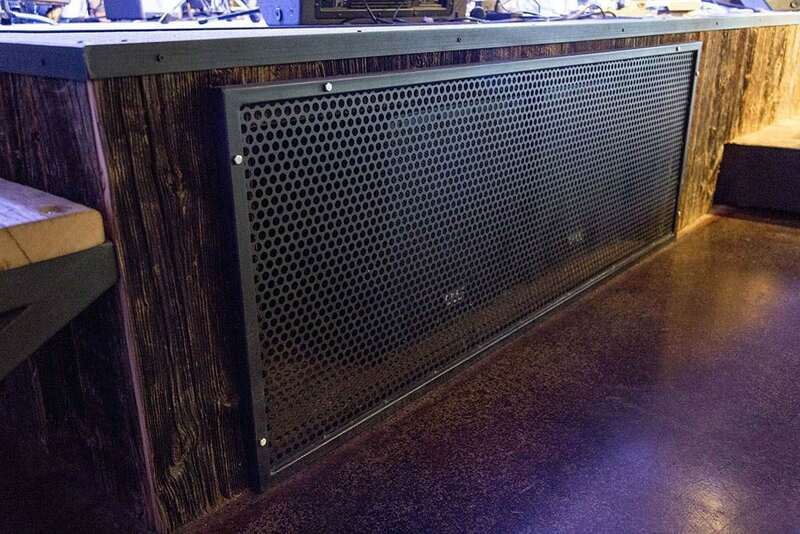 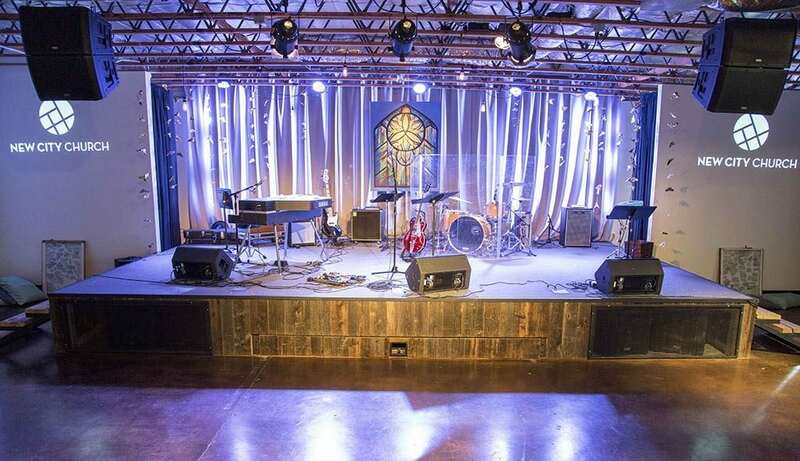 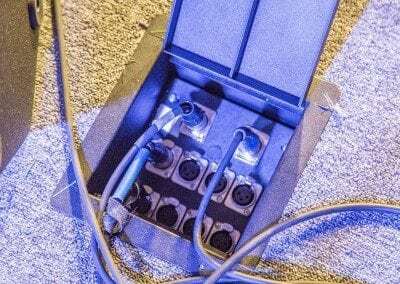 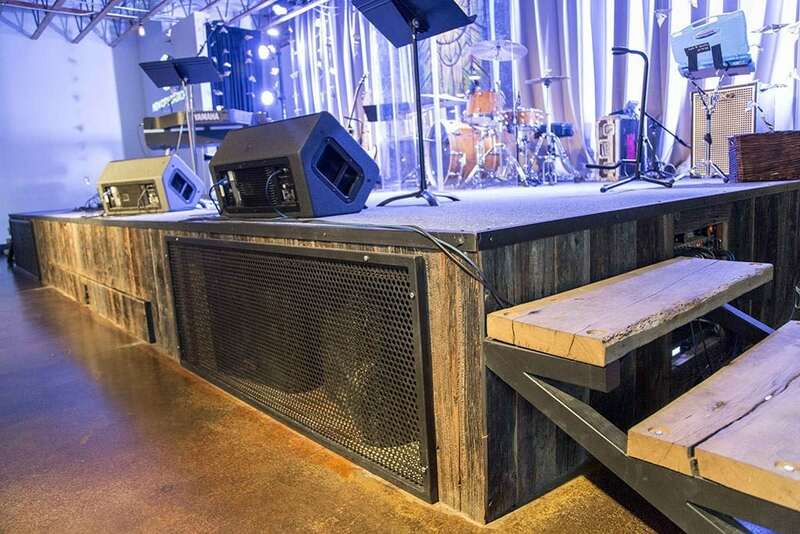 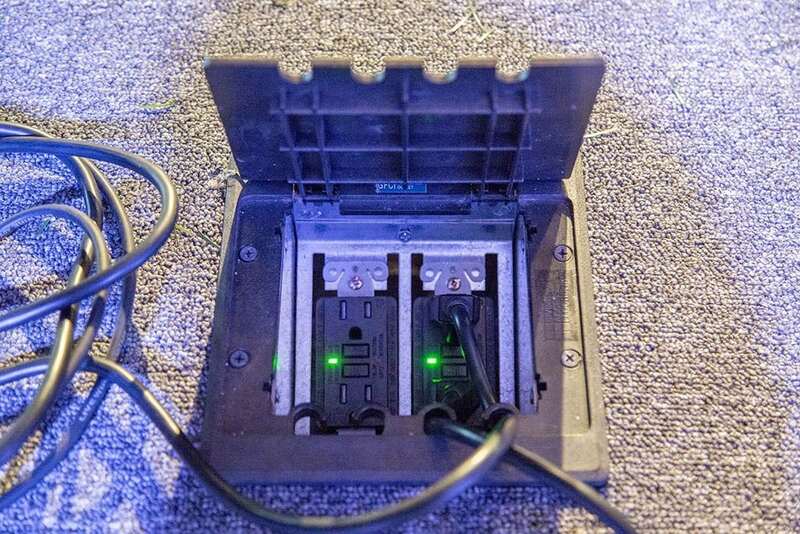 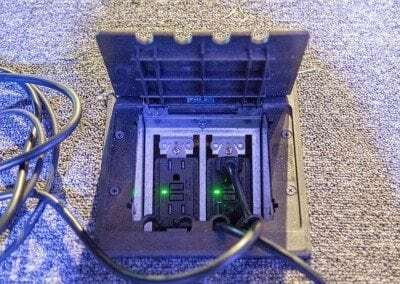 It was designed with a pull-out/hide-away platform, built-in audio rack spaces, xlr boxes, and flush mount stage electrical boxes. 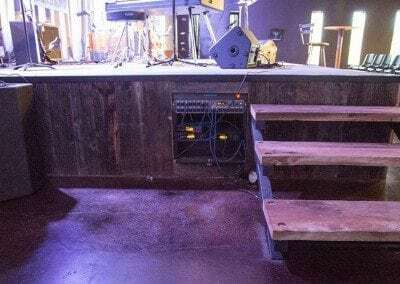 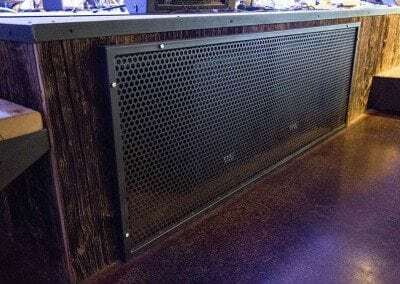 The front part of the stage was designed with two metal speaker cabinets hiding but more importantly protecting the PA speakers and subs. One fact that is neat about this stage, is it’s built into 5 sections. 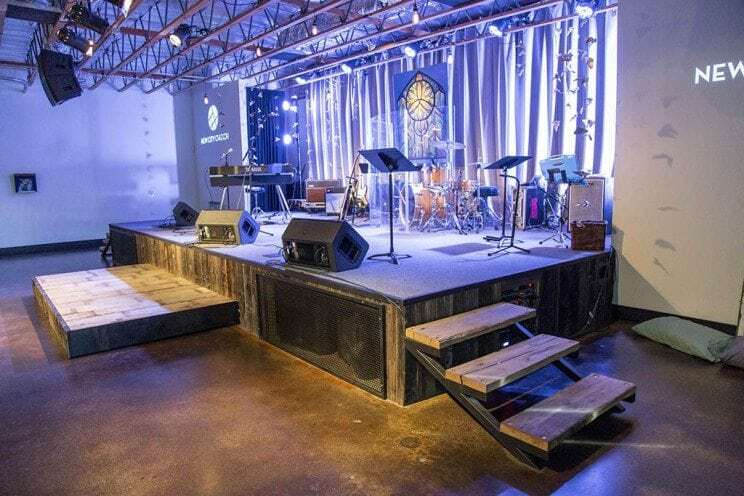 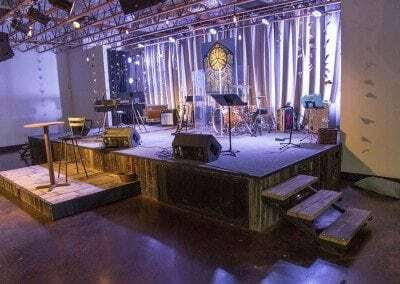 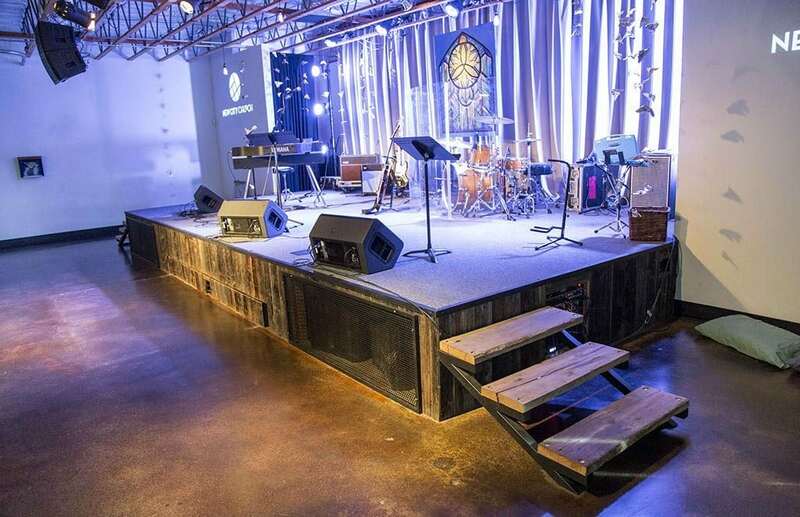 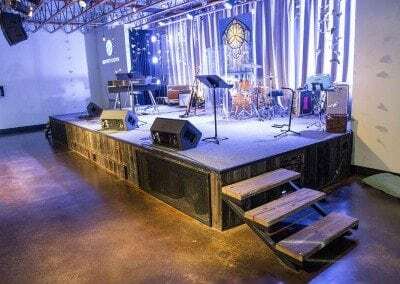 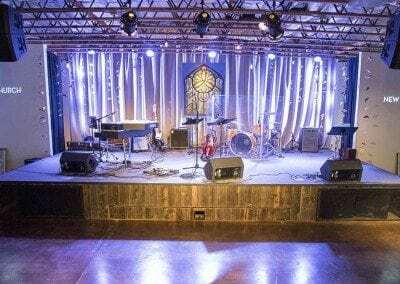 We designed the stage to allow the organization to setup in a few different arrangements (if need be), but also providing them with a semi-mobility, in case they wanted to move the stage into a new building down the road. 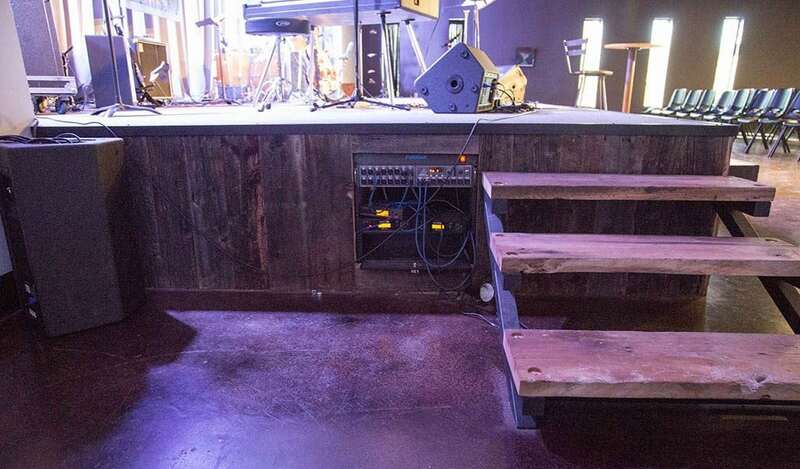 There are two bays lined with cedar to store instruments with natural insect protection. 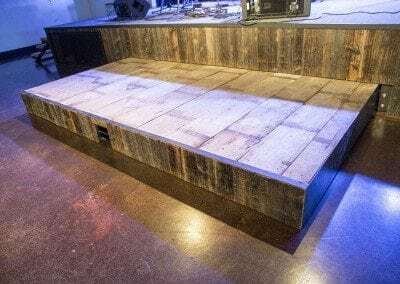 The reclaimed hemlock facade on the stage comes from barns in PA.